Begin with slip knot & fsc # multiple of 3 [39 fsc] sl st to join this round, making sure your foundation is not twisted. 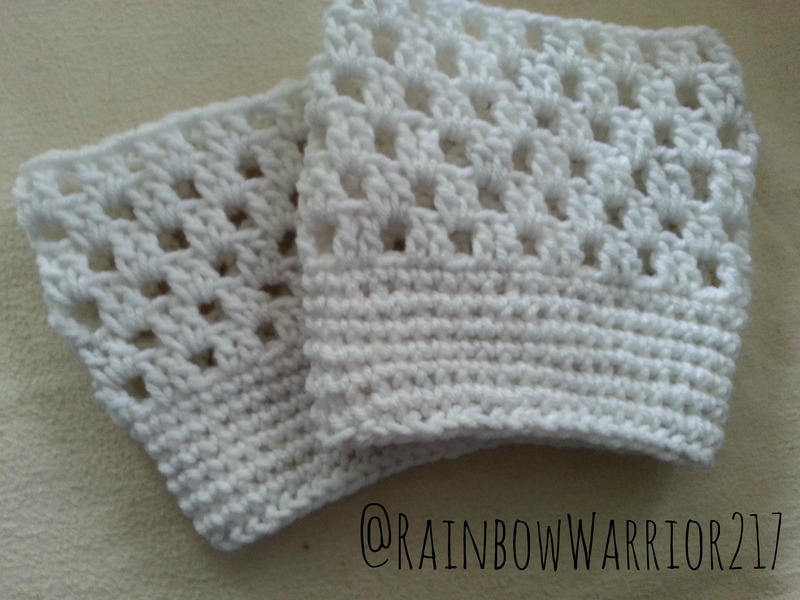 *Note if you do not not how to foundation single crochet: ch # multiple of 3 & sl st to join the round. Work 1 round of single crochet & sl st to join. sl st to join your last round. Round 1: ch 3 (counts as dc), place 1 dc in the next st, ch 1 – sk 1 space, [1 dc in the next st, 1 dc in the next st, ch 1 – sk 1 space] repeat all the way around until you reach your ch 3 & sl st to join your round. Round 2: sl st to next ch-1 space. 2 dc in ch-1 space, ch 1, [place 2 dc in next ch-1 space & ch 1] repeat all the way around, sl st to join the round. sl st to join the last round. Pattern Notes: The lace and crochet sections can be adjusted to any length to get your desired look. Working in a continual round is optional, you can slip stitch & chain if that method is more preferable. Be sure to adjust the number of stitches in multiples of 3 for this pattern, depending on your materials and measurement sizes. 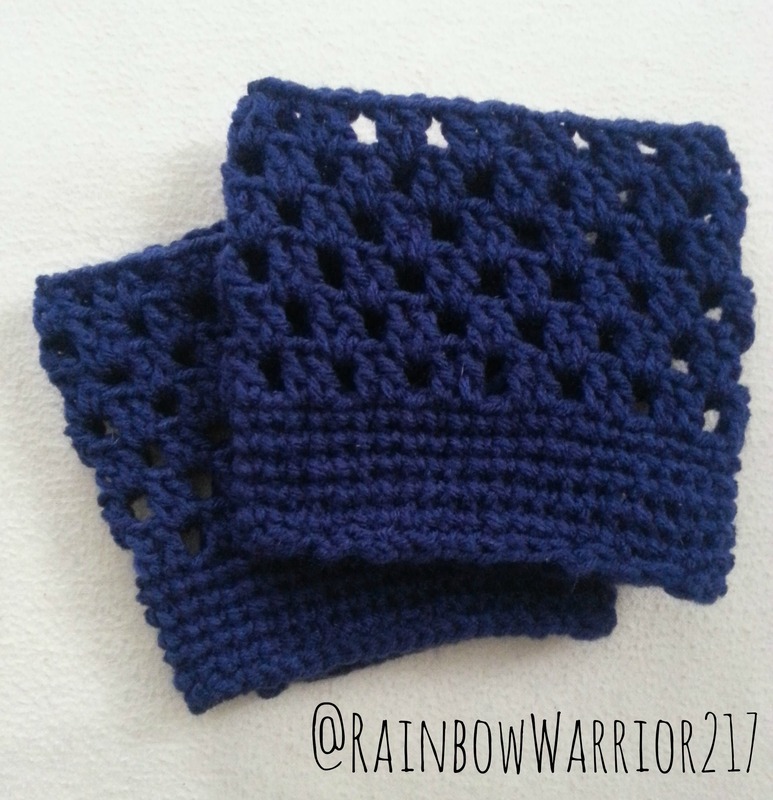 Posted in Crochet PatternsTagged Boot Cuff Pattern, boot cuffs, crochet, crochet patternBookmark the permalink. Thank you for the video I’m going to try the fsc for this. I’m actually going to make these for me. These are actually what I was looking for my boots this winter.